Weight training is subject to moderate or high intense workout. When we exercise at the end of every set the muscles lack enough oxygen and lactic acid is produced. In a short, we are unable to do more repetitions or exercise with more weight. 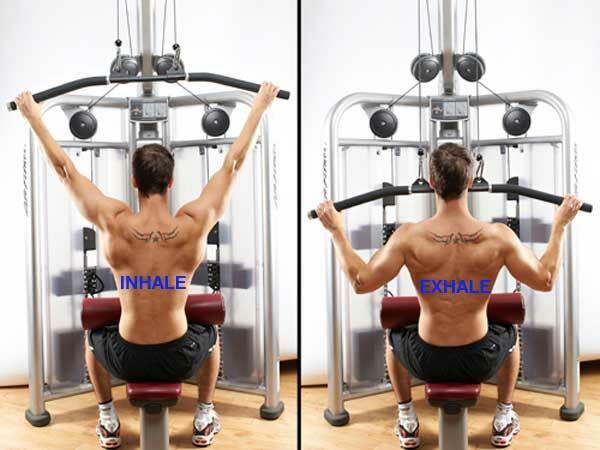 The universal method of breathing during weight training exercise is opposite of gravitation- exhale means lifting the weight or pulling the weight and breath out and when we come back to the starting position inhale or breath in . 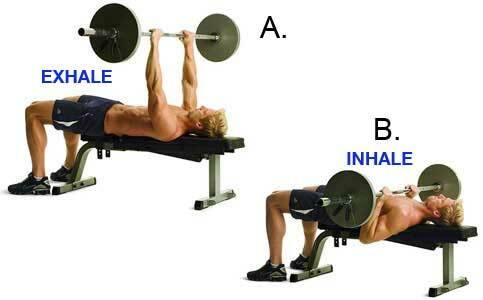 Bench press is known as a pushing movement of exercise. Here we are pushing the barbells or the dumbbells opposite of the gravity so we need to exhale while pushing it up. And while we bring down the barbell or dumbbells towards gravity inhale. When we pull the Lat Pulley bar down we need to exhale because weight is going up during this phase remember opposite of gravitation exhale. Again coming back to the starting position inhale. There are benefits of breathing right while exercising. Some of these benefits include boosting energy levels as well as metabolism. We can do our exercise with more weights; correct breathing will help us to improve our posture.